Next week is our last meeting the year! you won’t want to miss it on Thursday, December 18th. We meet at Cafe Coyote in Old Town starting at 7:00 am sharp. 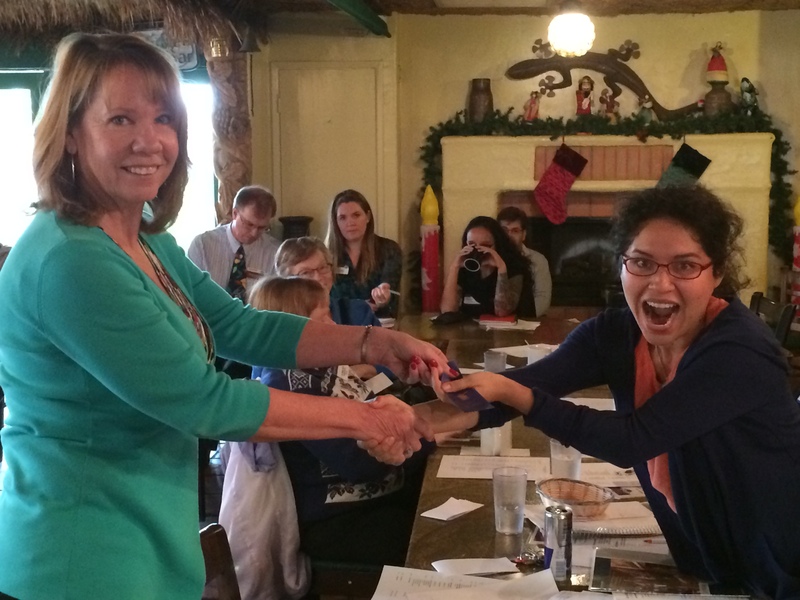 Our Toastmaster will be Jane Diaz. Jane, on the right in this photo, departed from her normally light-hearted speeches and delivered a riveting story about her sister at Thursday’s meeting earning here the best Speaker Ribbon. 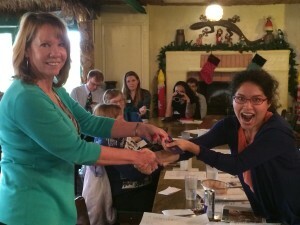 Trisha Landoni, pictured on the left was our able Toastmaster. Come join us and be a smoother speaker in 2015. Previous PostToastmasters Leadership Institute (TLI): Special OfferNext PostWelcome!